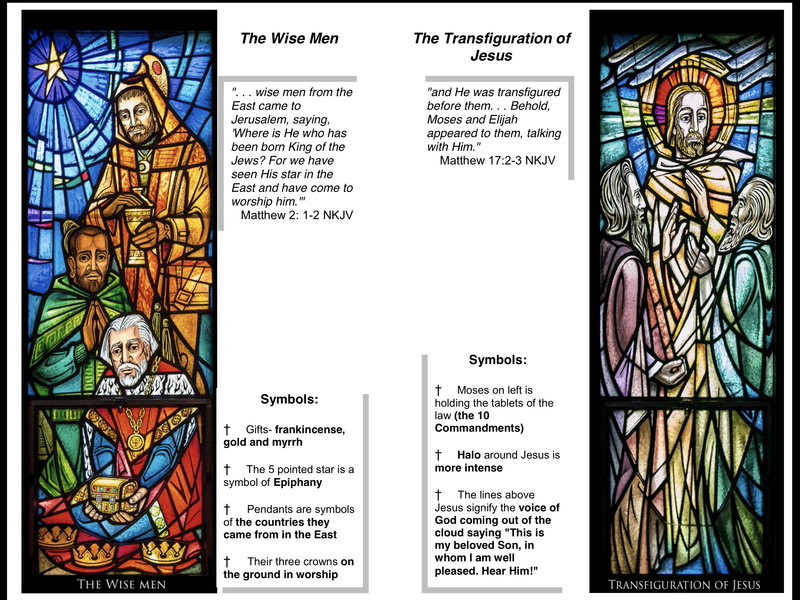 A full color booklet about Zion’s stained glass windows is nearing completion. 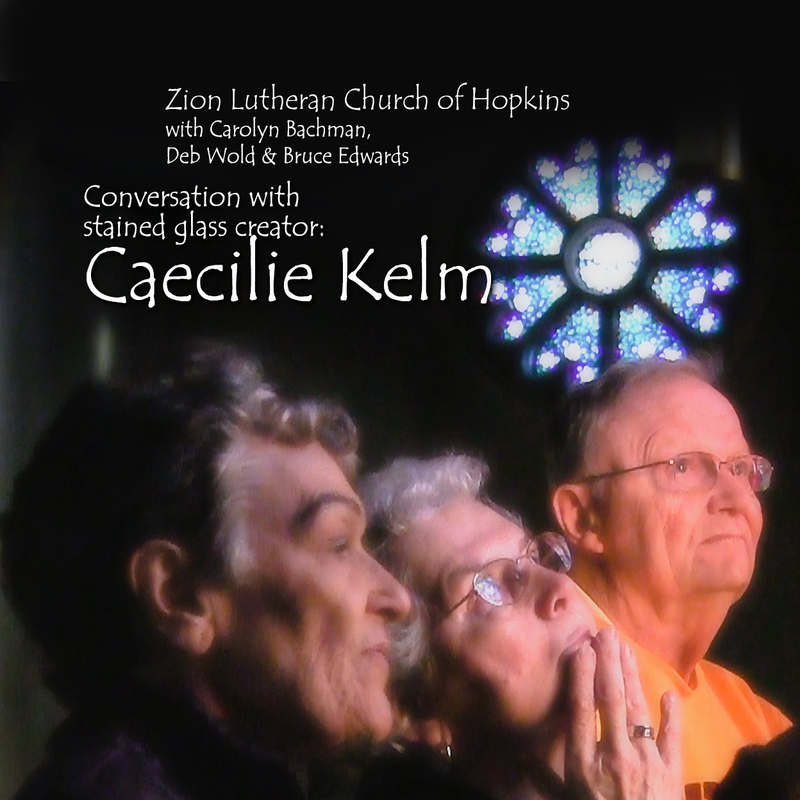 Sadly, the designer of the Windows, Caecilie Kelm, has passed away this August. 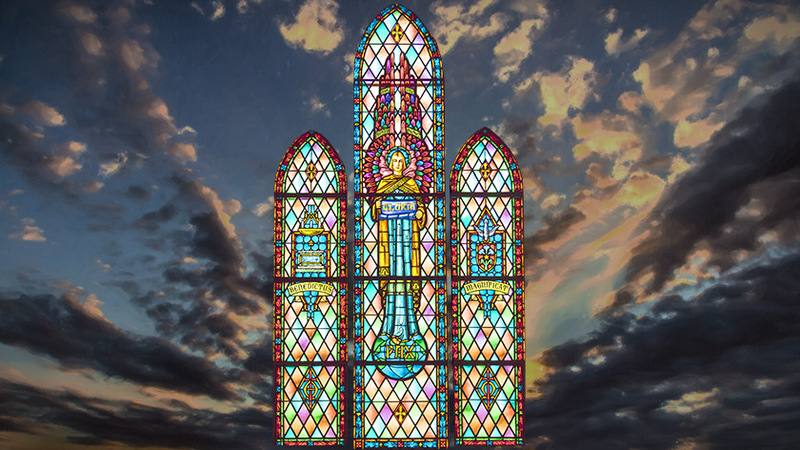 Luckily, or perhaps as a result of Divine intervention, team member Carolyn Bachman was able to connect with Caecilie this last year allowing us to learn more about the Windows and the designer’s thoughts about each window. 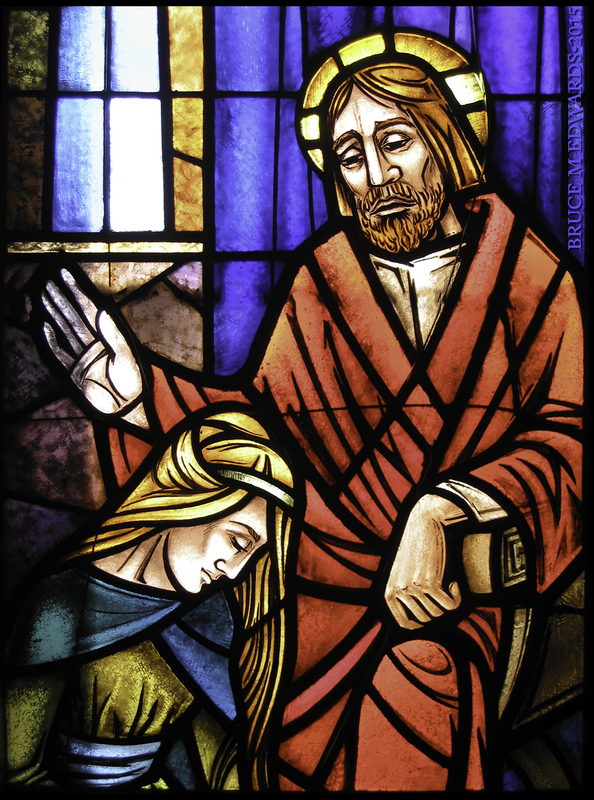 A video has been made of this interview and is in the church library. 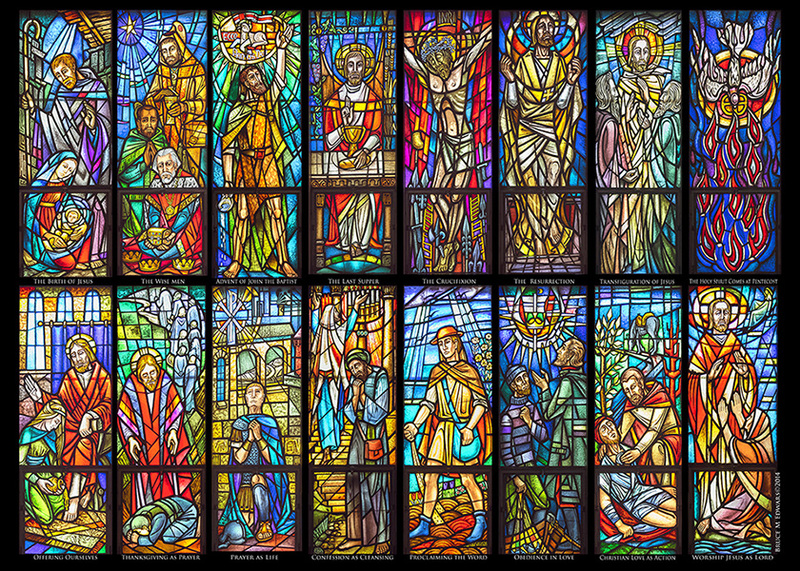 Did you know that the creator / designer of Zion’s 16 stained glass windows has been interviewed at Zion in December, 2015? 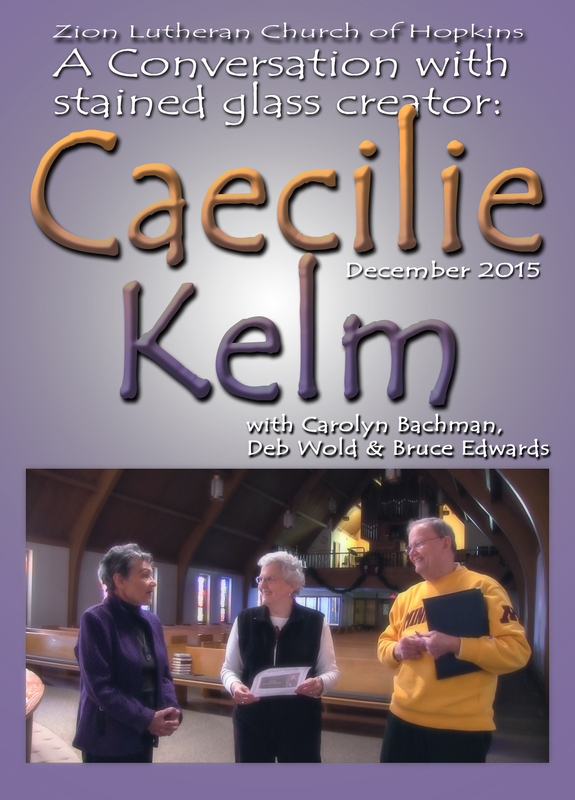 Yes, Caecilie Kelm was interviewed by Carolyn Bachman and Deb Wold. 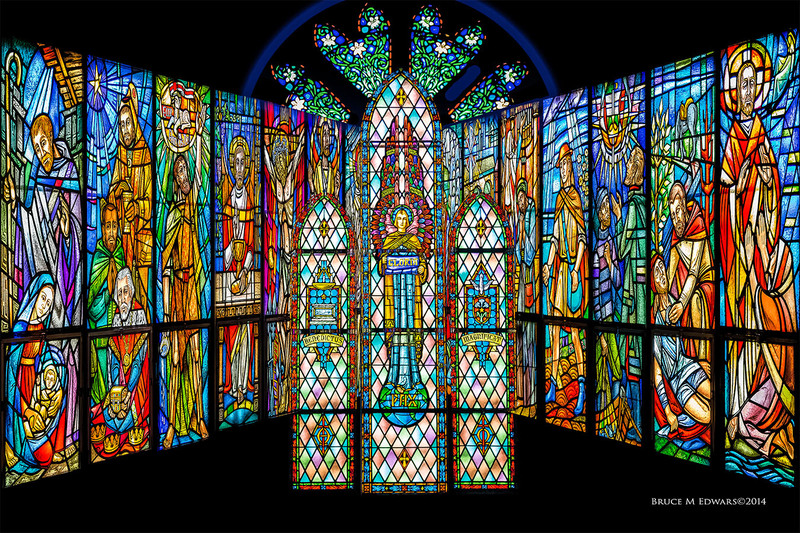 The video is on DVD explaining the symbolism found in each of the 16 windows. Thanks to Bruce Edwards for this production. 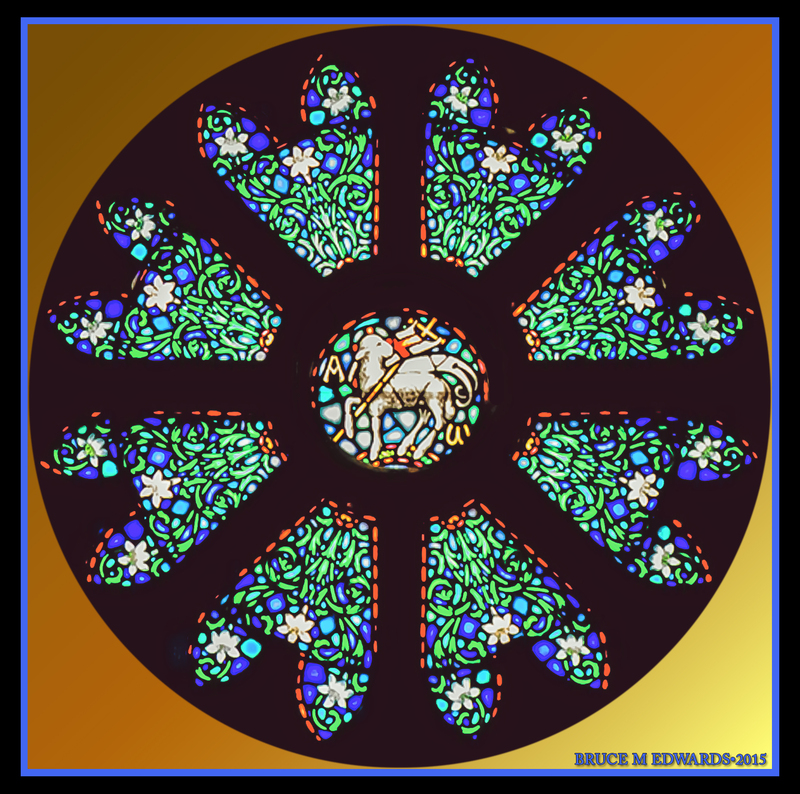 Check out out the windows video with music from January 25 at Zion’s 100th Anniversary with Brice on the Van Daalen accompanied by two Trumpets. 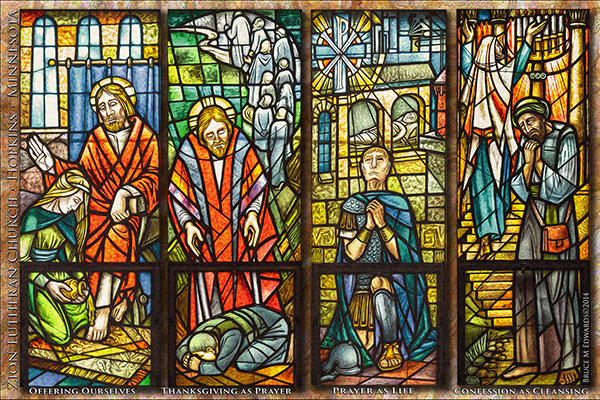 The stained glass windows in the main sanctuary. OFFERING OURSELVES From a 2004 photograph, edited to remove shadows cast by exterior window and distortion caused by camera lens. This photo by Bruce Edwards was taken on the day that Pastor Neal was installed at Zion Lutheran Church. 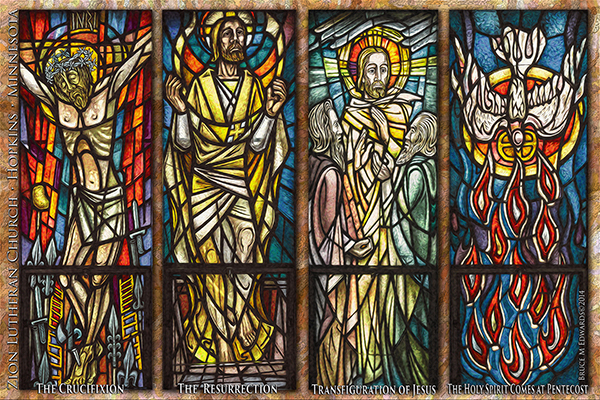 3 panels in the former choir loft near lecturn. 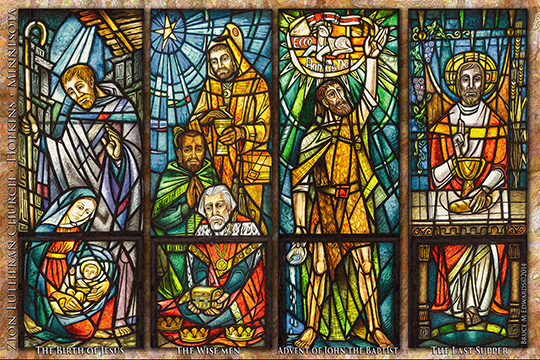 14 of Zion’s stained glass on canvas! This 4 foot canvas is near Zion’s office. You can order one! Post Cards may be available soon. What do you think? 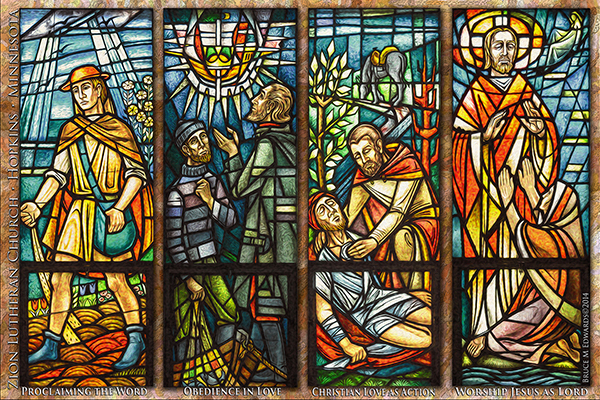 Post Card 1 (Note: the photographs of these windows have been processed through photo filters that lightly simulate painting. Amazing!! these would make great postcards.